TERMS AND CONDITIONS OF USE OF THE "DARKROME.COM" WEBSITE. Carefully read the terms here under as they define the conditions of access and use of the website. terms and conditions of use refers to the terms and conditions which regulate the use of this website by the user. services refers to the functions, devices, applications, information and other services accessible through this website. user refers to any person which accesses and/or utilizes this website. website refers to the "home page" and other pages characterized by the domain name DARKROME.COM, owned and managed by City Wonders. material/s refers to any type of material or immaterial good which is rendered available through this website, including for example merchandising products, data, drawings, images, photographs, illustrations, descriptions, informative texts, films, audio files, music and sounds, services, software and other accessorial programs. content/s refers to messages, data, information, texts and other material including that of advertising nature. In accessing, surfing or in any way using the website, the user agrees to comply by the terms and conditions of use and other dispositions and directives that the terms and conditions of use refer to as well as to any of their subsequent modifications. Where the user does not agree to be bound by the above, including any subsequent modifications, he/she must not access, surf or in any way use the website. City Wonders reserves the right to integrate or modify at its own discretion any of the dispositions contained in the terms and conditions of use including any disposition and/or directive that the website refers to. The integrations and modifications will be effective with their publication on the website along with a notice of the modification and/or integration. The use of the website, subsequently to the publication of the above mentioned notice, will entail the users consent to comply to the modifications even if he/she has not taken vision of these modifications. Therefore the user must frequently read the terms and conditions of use in order to verify the new active dispositions in order to be aware of the terms and conditions which regulate the use of the website. City Wonders grants a limited and not exclusive right of access to the website and to the materials contained within for non commercial and purely informative personal purposes. The license is conditioned by the users acknowledgment, compliance and respect of all intellectual property rights relative to the materials, as for example copyright, rights afferent to trade marks and other intellectual property rights or intellectual deprivation, owned by City Wonders and of whom the customer doesn't acquire any entitlement. All the Materials of this Website are protected by the copyright defined by the expression "ALL RIGHTS ARE RESERVED" owned by City Wonders and by its affiliates and/or Partners and/or of third party licensees. Except for the present, no material can be copied, modified, reproduced, distributed, publicized, downloaded, rendered accessible to the public, diffused or transmitted in any form and through any means, without the prior written consent of City Wonders or a qualified representative; nor may any notice, indicator of copyright or other type of patent contained in the materials be removed or altered. The authorization of use of the website does not include the faculty of selling, commercializing, distributing the contents of the website or create works and/or materials derived from the website materials, such as for example website framing activities, reproduction of client information of use to others and/or any type of data extraction and/or use of apparatus for the gathering and extraction of data contained in this website. City Wonders expressly prohibits the uploading on the website of users materials such as, for example, music, software, images and any other materials which constitute a violation of the intellectual property rights of third parties, except for when the user has obtained the necessary authorizations. Signature, even digital, of the person authorized to act on behalf of the copyright owner. Description of the copyrighted work that the uses deems to be violated. Indication of the exact position, within the website, of the copyrighted material that the user deems violated. Users declaration that the above information is correct and that the user is the only copyright holder or that he is authorized to act on behalf of the copyright holder. The user agrees to relieve and indemnify City Wonders from any pretence, action, claim, loss or damage (included legal fees) put forward or proposed by third parties and which derives from the users conduct, from the violation of the conditions of use or third party's rights. The user is conceded a limited and not exclusive right to create a link to his/her website as long as this website does not represent City Wonders or that one or more of his/her products and/or services does not represent City Wonders in a false, defamatory, or misleading manner or in any manner which discredits City Wonders. The user can not use the logos or other graphic elements, such as City Wonders marks, as visual link to the website, without the prior written consent of City Wonders. The authorization of use can be revoked at all times. Products offered by City Wonders are valid as per the dates and times displayed at darkrome.com. City Wonders is not responsible or liable for any information that it does not directly provide. All requests for booking modifications/amendments must be directed to the City Wonders Customer Care Team via email at info@citywonders.com, telephone +39.06.83360561 or fax +353.016127098. 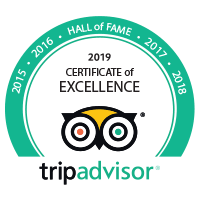 City Wonders does not charge a fee to amend or change the dates or times of an existing booking, as long as the request is received by our Customer Care team more than twenty four (24) hours ahead of your confirmed tour date. If you request a date/time change City Wonders will attempt to honor your request; However City Wonders cannot guarantee date/time change requests as all requests and amendments are subject to availability. For changes made twenty four (24) hours or less from your original travel date a penalty fee of €15,00 applies to each person. City Wonders reserves the right to cancel, change or substitute any tour that you have booked at darkrome.com, at any time, for any reason. In such cases, if you are dissatisfied with the alternatives offered, you are entitled to a full refund of the original purchase price. City Wonders accepts the following credit cards: Mastercard, Visa. There is no charge or service fee for processing credit-card payments. Full payment by credit card is required to make a reservation. Payment will be listed as City Wonders on the credit card statement. Canceling a booking with City Wonders can result in cancellation fees being applied by City Wonders, as outlined below. When canceling any booking you will be notified via email or fax of the successful cancellation and cancellation fees incurred. City Wonders enforces a 24 hour advance refund policy. Cancellations must be communicated via e-mail at info@citywonders.com, or fax at +353.016127098 no less than 24 hours in advance of the tour in order to receive a refund. No partial refunds will be given for cancellations made within 24 hours of a tour. You will receive a City Wonders Voucher for each tour booked. You must provide the original, authentic City Wonders Voucher at the start of your tour. Your booking cannot be honored or redeemed without presenting a valid City Wonders Voucher. Under no circumstances will City Wonders be liable for any of the following losses or damage (whether such losses where foreseen, foreseeable, known or otherwise): (a) loss of data; (b) loss of revenue or anticipated profits; (c) loss of business; (d) loss of opportunity; (e) loss of goodwill or injury to reputation; (f) losses suffered by third parties; or (g) any indirect, consequential, special or exemplary damages arising from the use of www.darkrome.com regardless of the form of action. City Wonders accepts no responsibility for any sickness, pilferage, labor disputes, machinery breakdown, government restrains, acts of war and/or terrorism, weather conditions, defect in any vehicle of transportation or for any misadventure or casualty or any other causes beyond their control. This is not limited to, but may include, a) the closure of venues which City Wonders tours visits, where and when the closure of that venue is out of the control of City Wonders or where City Wonders is not notified by the Venue with ample time to notify the clients, which may be due to inclement weather, manifestations and protests or simply the last-minute decision of the venue. b) the inability of our tour to access certain monuments/areas and/or venues due to restrictions caused by excessive traffic, inclement weather, manifestations and protests or due to that area being restored/under construction or covered/obstructed from public view. City Wonders reserves the right, without notice, to withdraw from the terms and conditions of use and to prevent the users access to the website. The terms and conditions of use will be sustained and interpreted by the Irish law except for the International Private Law. Any controversy derived or connected to the execution of terms and conditions of use will be passed on to the exclusive jurisdiction of the legal court of Dublin that follows.